The multifamily industry has been much slower to adopt this technology, reluctant to make the investment when predicting the ROI is challenging, but this is starting to change in new construction. 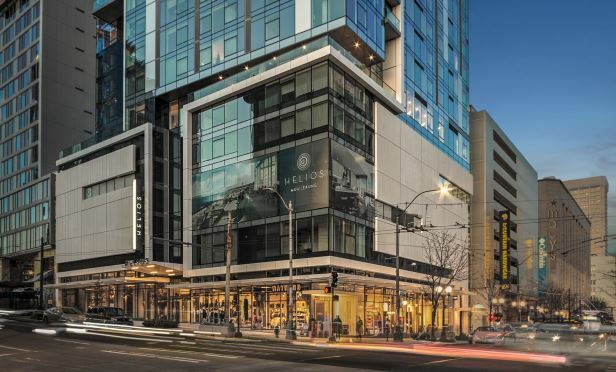 The buildings with keyless entry intercoms include Helios (Equity Residential) in Seattle. SEATTLE—According to market research company Gfk, more than half of all US consumers are now using smart home/Internet-connected devices to control or automate functions such as entry, temperature and lighting. But the multifamily industry has been much slower to adopt this technology, reluctant to make the investment when there’s no way to predict the ROI. That’s finally beginning to change, at least when it comes to new construction.